They don't make these anymore! 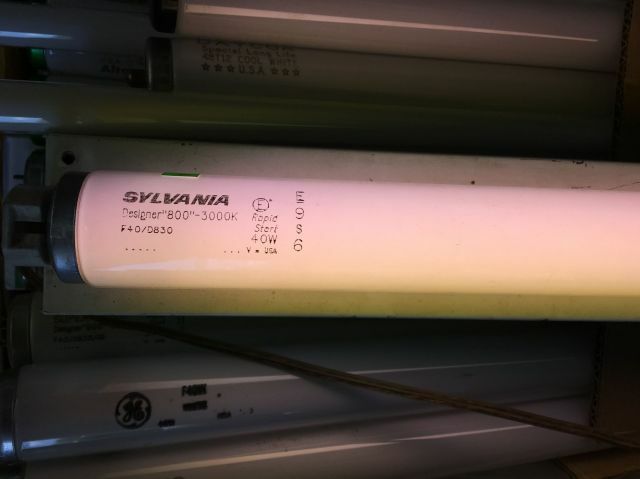 Are these similar to the Royal White fluorescent Sylvania used to make? Cool! looks like CWX/SW, another cool lamp long gone, but they tend to be DIM. Rick D.
OOPS----meant WWX/SW, NOT CWX! I liked the CWX, too, dim and pinkish! Sylvania still makes CWX though. What's the modern equivalent, /930? Yes, the /930 soft white. Those are my favorite 4 foot lamps. I love those Sylvania Royal Whites. I have one of these, its from 2009 I believe.